Sixty-six million years ago, an enormous asteroid slammed into Mexico’s Yucatán peninsula, triggering a mass extinction that killed every dinosaur except the ancestors of birds. Last week, palaeontologists felt the shock waves from that impact ripple through their small community. In a paper in the Proceedings of the National Academy of Sciences, a team of scientists described an astonishing collection of fossils entombed in rocks in North Dakota, apparently frozen in time within hours or days of the asteroid collision (R. A. DePalma et al. Proc. Natl Acad. Sci. USA http://doi.org/c34m; 2019). Many of the creatures seem to have perished in floods generated as Earth’s crust shuddered from the impact; fish even have shards of impact glass embedded in their gills. The US magazine The New Yorker trumpeted the find in a feature with the headline ‘The day the dinosaurs died’. Others were more cautious. Palaeontologists pushed back on social media and in news stories, noting that many of the claims in The New Yorker article have yet to be assessed and verified. And the fact that the team named the site Tanis, after the ancient Egyptian city depicted in the 1981 film Raiders of the Lost Ark, caused more than a few eye rolls. Even so, it’s clear that the dinosaur extinction, at the end of the Cretaceous period, has not relinquished its hold on the popular imagination. It is simply too captivating to imagine a space rock inflicting near-total annihilation on the planet below. Especially when a Tyrannosaurus rex might have been gazing skywards, oblivious to its impending doom. The fascination stretches back four decades, to when US father-and-son team Luis and Walter Alvarez identified iridium, a rare element found in asteroids, in sediments dating to the time of the extinction. Then, in 1991, scientists announced the discovery of a giant, buried impact crater in Mexico known as Chicxulub. Researchers have since explored the crater more thoroughly, drilling into it to study how life died out and then rebounded. Geologists have even documented how tsunamis kicked up by the asteroid surged across the Gulf of Mexico and swamped nearby coasts. Viewed in this broader context, the North Dakota find is just one of many pieces of evidence showing the power of the Chicxulub impact. Time will tell whether Tanis is as significant a fossil site as its discoverers claim. One fossil collection at one site, no matter how spectacular, is unlikely to answer the question of how the entire extinction unfolded. Enormous volcanic eruptions that occurred at around the same time, in what is now India, might have played a part. Untangling such a complex, catastrophic event from the few hints that history left behind is a colossal challenge. Two extraordinarily precise studies of the timing of the Indian eruptions and the Chicxulub impact — published in February in Science (B. Schoene et al. Science 363, 862–866 (2019); C. J. Sprain et al. Science 363, 866–870; 2019) — leave open the question of whether volcanoes and the asteroid worked in a one-two punch to wipe out life on Earth. 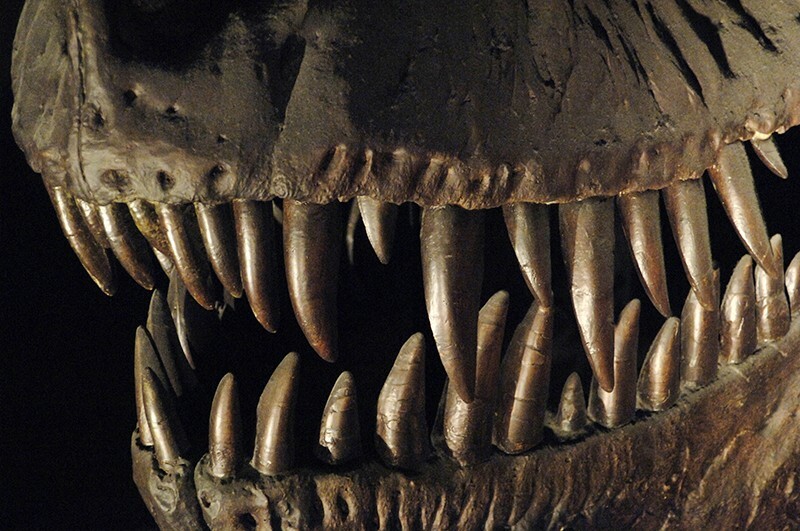 The dinosaurs’ demise — like much of science — is complicated, controversial and captivating. Four decades on from the pioneering work of the Alvarezes, researchers are still working to understand this epochal event. If the North Dakota fossils are any guide, palaeontologists might have decades of Chicxulub-related discoveries — and headlines — still to come.